UPDATED, April 1, 12:25 p.m.: Brown Harris Stevens Miami brought on Clemente Sanchez, a top producer in the South-of-Fifth neighborhood of Miami Beach. Sanchez, who closed $12 million in sales volume in 2017 and $14 million in 2018, was previously with South Pointe Drive Realty. Sanchez has closed deals totaling more than $100 million in sales volume, according to a press release. Brown Harris Stevens recently expanded in Miami Beach with agents Carlos Sifuentes, Cathy Zemsky, Larisa Maslykinas and Andre Schaefer. Kurz Real Estate is growing – again. Gratitude Realty in Fort Lauderdale merged into the Coconut Grove-based brokerage. Daniel Ares, former owner of Gratitude Realty, is now a partner and managing broker of Kurz Real Estate. Kurz, based in Coconut Grove, partnered with Golden Acre Real Estate in February, doubling Kurz’s agent count. Gratitude Realty, a boutique firm, brought five agents to Kurz and another four will be joining soon, owner David Kurz said. 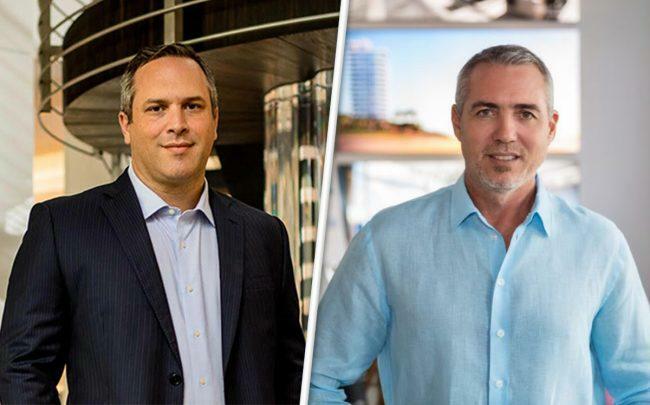 The Fort Lauderdale office closed about $20 million in sales and manages more than 100 properties. It will serve as Kurz’s property management headquarters. Atlantic | Pacific Companies promoted Krista Rojas to director of regional operations in Florida. Rojas was previously a regional manager and has been with the company since 1999. Most recently, she was responsible for the leasing of The Atlantic Doral. A|P also promoted Shanon Pereira to director of marketing. Pereira, also previously a regional manager, joined A|P in 2004 and has managed more than 1,400 units in South Florida. KW Property Management & Consulting hired Rick Dingle as a regional manager based in Miami. He was previously chief operating officer of a Fort Lauderdale-based parking management company. Correction: An earlier version of this story misspelled names of agents who recently joined Brown Harris Stevens.